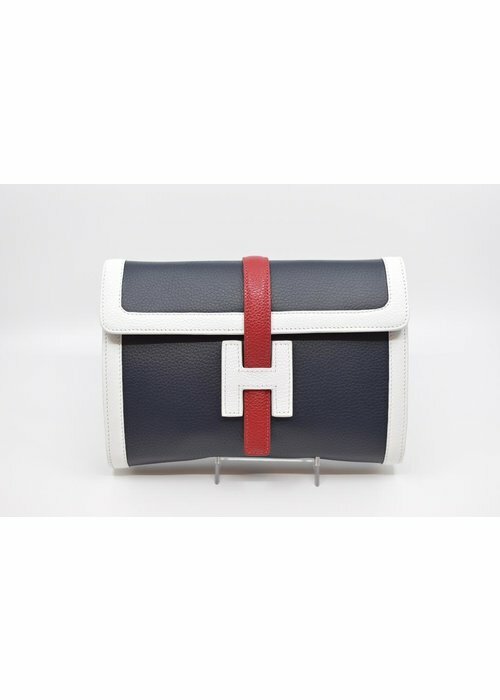 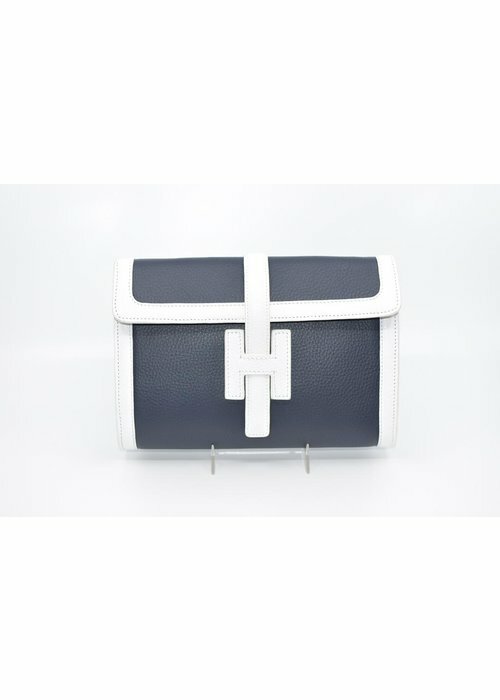 Stefano Bravo Clutch Bag in Italian Leather. 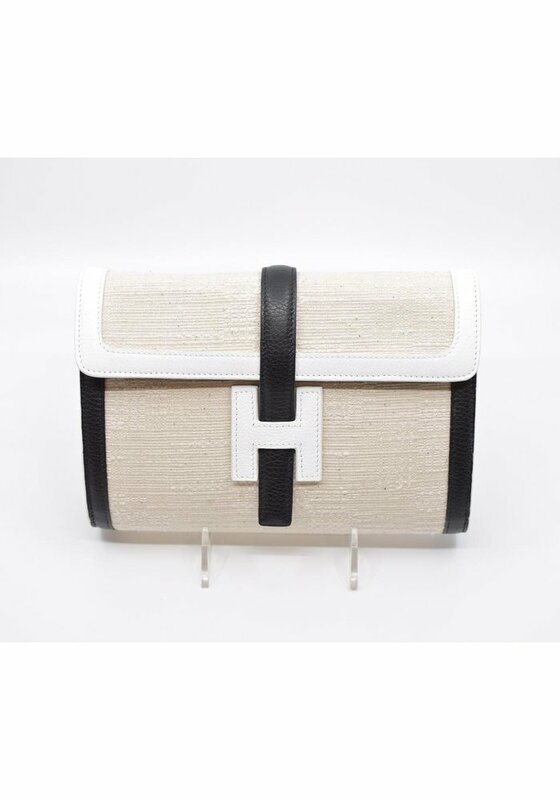 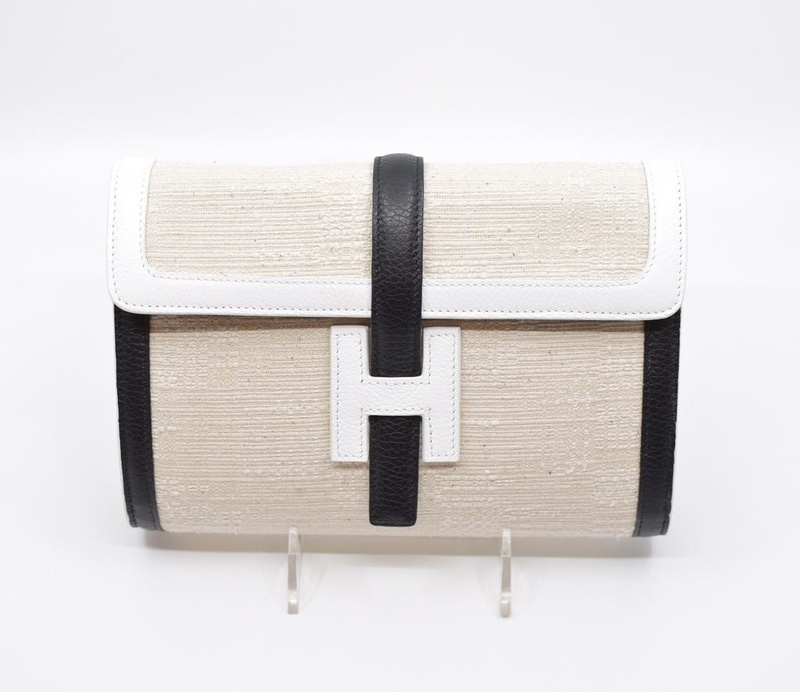 The bag is linen with white and black leather trim with a black enclosure strap. 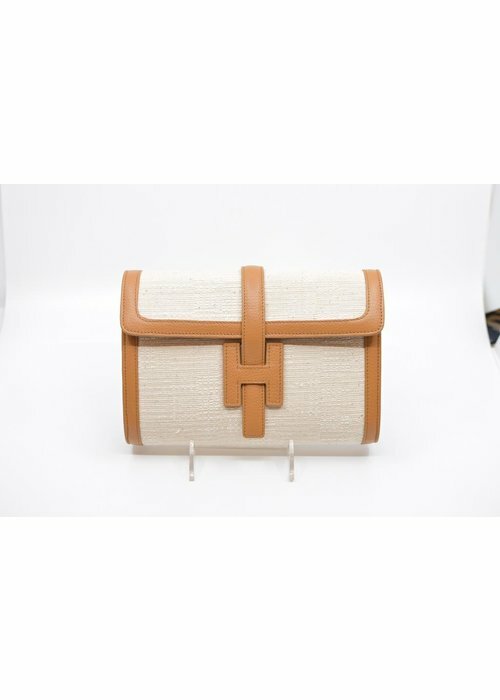 Carrying strap can also be used to turn this bag into a cross body. 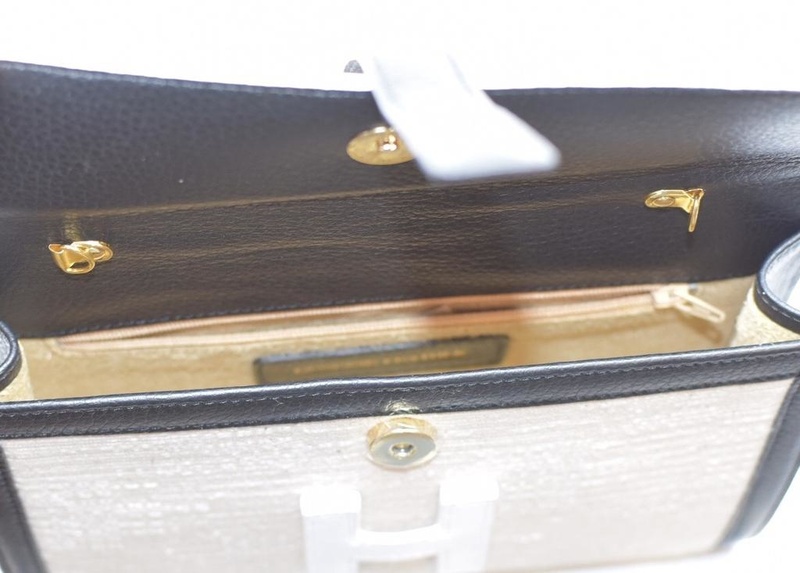 Interior side zip pocket.